Baamako /Tunis 22/11/17 – A co-operation agreement was signed Tuesday in Tunis between the Tunisian Court of Auditors and the Supreme Court of the Republic of Mali.The agreement, signed by the First President of the Court of Auditors Nejib Gtari and the President of the Supreme Court of the Republic of Mali, Nouhoum Tapily, commits the two now twinned jurisdictions to share experiences in the organisation and management of financial jurisdictions. It also provides for the exchange of techniques, tools and methods of control, including control of budget execution and evaluation of public policies. « This agreement, which extends over a renewable five-year period, focuses on the exchange of experiences and expertise between the two countries, » Néjib Gtari told TAP on the sidelines of the signing ceremony organised in the presence of the ambassador of Mali to Tunisia. Under this agreement, « the Tunisian Court of Auditors will assist the Supreme Court of the Republic of Mali in setting up and developing the Court of Budgetary and Financial Discipline, » he said. Gatri added that « this agreement is the first judicial co-operation agreement concluded with an African country ». In this regard, he expressed the wish to see this agreement followed by the signing of other co-operation agreements with other African countries with which Tunisia has had good relations for years such as Burkina Faso, Senegal, Côte d’Ivoire, Mauritania and Niger. The signing of such agreements will not certainly help enhance the influence of the Tunisian Court of Auditors on the African scale, he said. 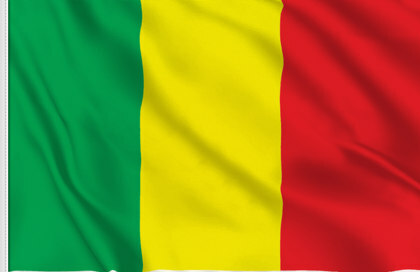 « The signing of this agreement concretises the common will of the two countries to uphold the principles of transparency and good governance and to improve the performance of public action, through the exchange of experiences and sharing knowledge, in terms of judicial control, audit and evaluation and punishment of misconduct », said President of the Supreme Court of Mali, Nouhoum Tapily. « The development of judicial institutions contributes to the consolidation of the rule of law, » he pointed out. Tapily also welcomed the commitment of Mali and Tunisia to consolidate and sustain South-South cooperation.